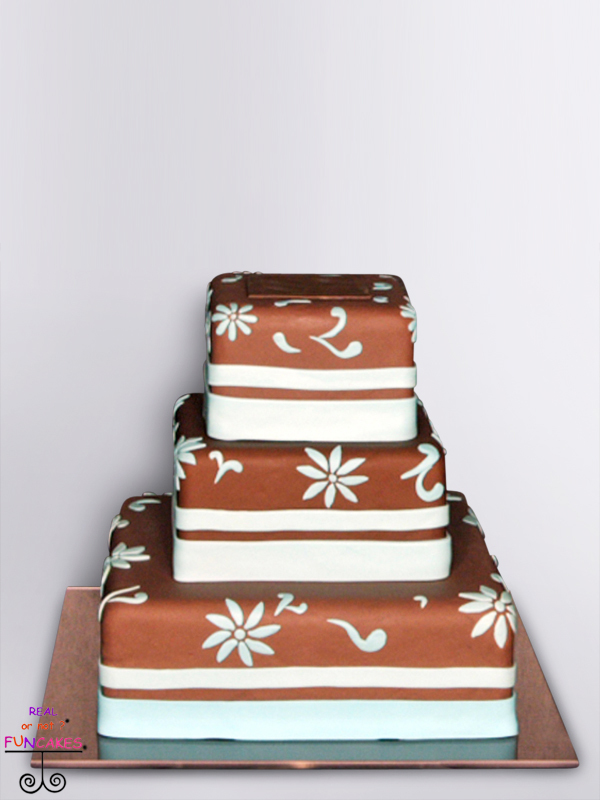 Blue Flowers is three beautiful layers of real fondant, colored in the warm color of chocolate. Hand cut details of light blue flowers and swirls decorate each tier. Large bands of light blue grace the bottom of each tier. Even though your cake is fake, you want it to look like it will feed your wedding guests. If this cake were real, it would feed 125 guests. We are charging $1.50 a slice for this beautiful and perfect fake cake, with free shipping.